Packaging Dimensions 1 in. x 1 in. x 0.6 in. Love these knobs as I can make quick moves on my guitar volume and tone. I replace all the metal burl knobs with these and they look/work great. They are actually the standard for some guitar makers. Use them on my Telecasters. Great price too! Great product - great price. Thank you. Fine knobs. Excellent workmanship. Smooth rounded horns provide a good purchase without any sharp edges to annoy your fingertips. Bold easy to see marks. For my application, I use these on the 2 variable capacitors and use Drake stove type knobs on the 2 stiff switches of a B&W VS300. They look good together in spite of these being shorter knobs. It is so nice to get away from the gaudy aluminum knob inlays and have a nice white line, instead. Asked by Anonymous on March 7th, 2016. 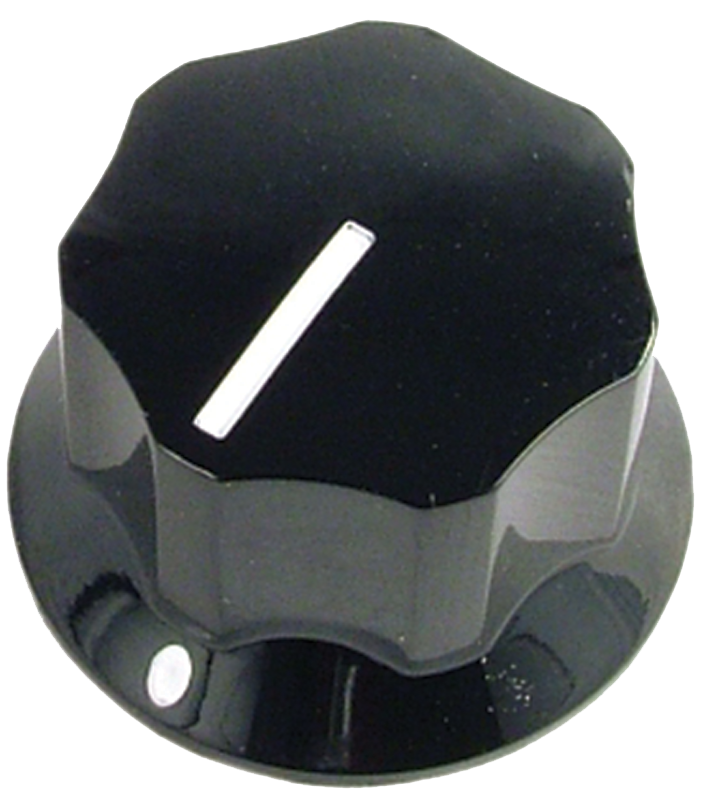 This knob will fit on any 1/4" sold shaft pot. Yes, these have brass inserts and a single set-screw.